It’s scary how a single game can get you so worked up! 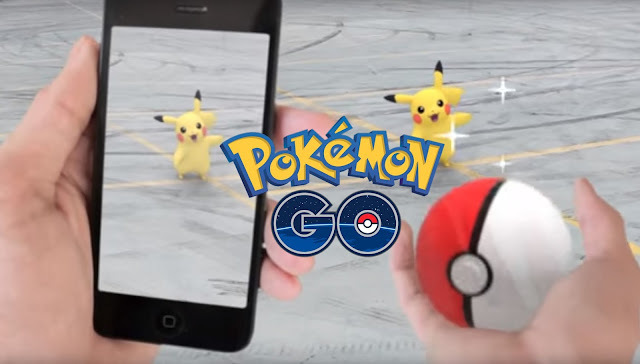 Well, we’re not talking about just any game – it’s Pokémon Go after all, and it matters! Last Sunday, an Australian working in Singapore by the name of Sonny Truyen started a Facebook war after posting a rude remark about the country he is staying in. In case you don’t know what Pokémon Go is, read this article we just wrote explaining about the new app / game, and how people’s obsession on it has gone a little bit too far. 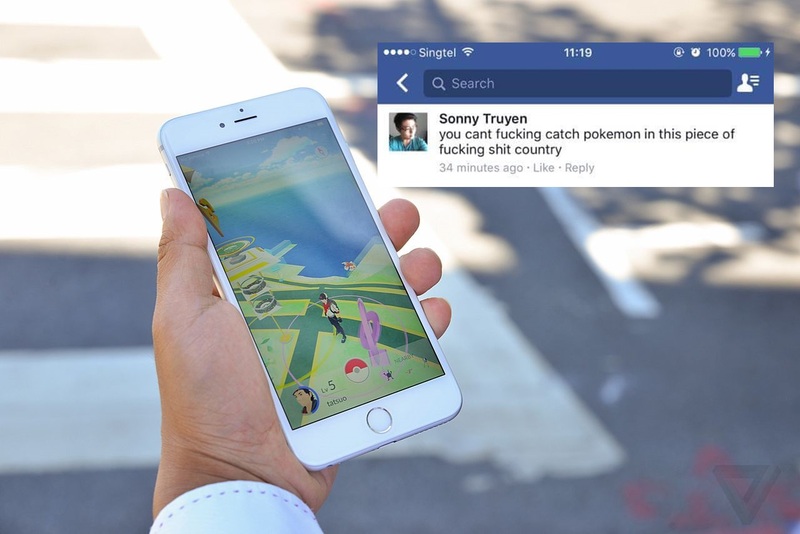 Anyway, Pokémon Go was recently launched last week and isn’t available in several countries yet, including Singapore. This resulted in Truyen’s outburst, where he referred to Singapore as a “piece of f**king sh*t country”. A proud Singaporean who goes by the name of Adelene Kong came across his post and then got into an intense Facebook war with Truyen. After the intense exchanges, other users immediately launched a witch hunt and found out that Truyen was the vice president of digital marketing for a local real estate site, 99.co. 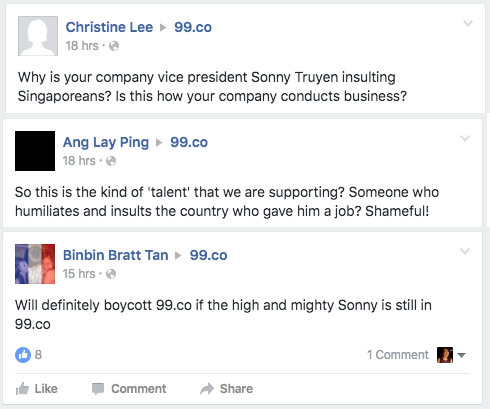 Netizens then began leaving complaints on 99.co Facebook page, urging them to fire the expat. On the same day, 99.co's CEO Darius Cheung posted an apology on the company’s blog and informed that Truyen had been terminated from his contract. 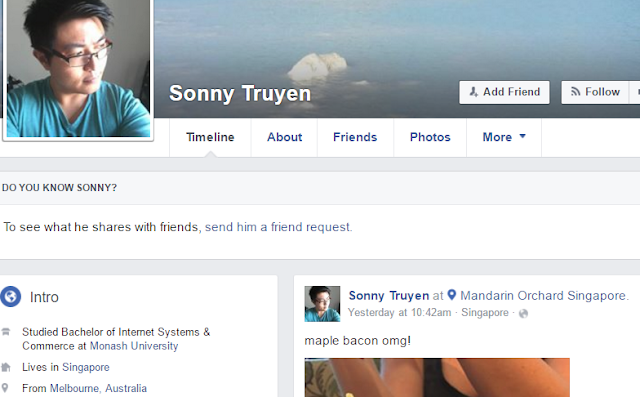 1) Sonny, an SEO specialist, has only started consulting for us for a week before the incident happened. 2) We are a proud Singaporean company and do not condone such language or behaviour, hence we have since terminated his engagement once the incident came to light. I apologise on behalf of 99.co, we pride ourselves to be a principled company that celebrates values like diversity and equality. We take responsibility for the public behaviour of any employee or consultant affiliated with us as a reflection of the company. According to Branding Asia, Truyen also previously worked at Malaysian startup, iPrice Group earlier this year and just recently joined 99.co. “However in my defense, I was racially vilified for not being a 'white' Australian. It was disappointing the lengths Singaporeans went at to attack me and deny any chance of making amends for my actions,” he added. Truyen appears to have deactivated or deleted all of his social media accounts.